Since 1980 we have made hundreds of ranch signs, ranging from two feet to almost forty feet in length. 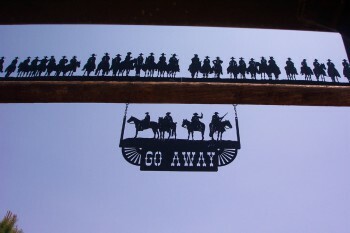 The “Go Away” sign above is the most popular of the hundreds of ranch signs I’ve created. See more examples of ranch signs in the Ranch Signs Photo Gallery below. 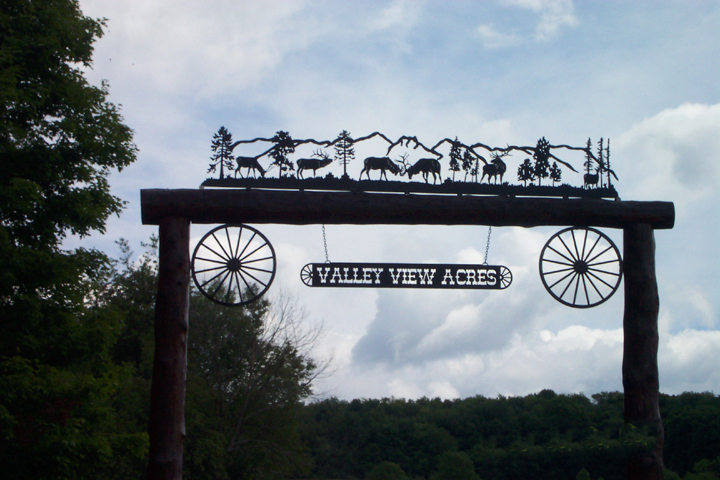 Standard ranch signs are cut from heavy gauge steel, then cleaned and powder coated. 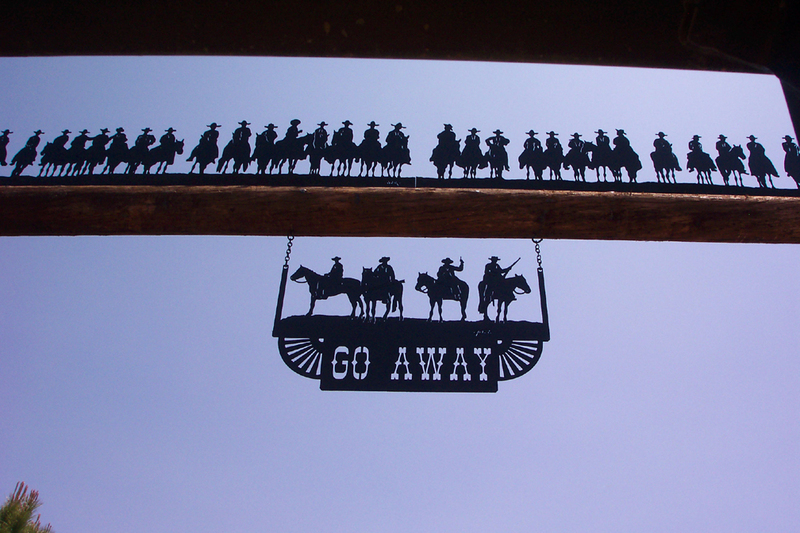 We offer the original “Go Away” Ranch Sign, as well as Custom Ranch Signs that are made using designs from our Decorative Silhouettes product line or your own design. Custom ranch signs are available and indeed encouraged. We have many images that can be used for signs, or we can work up an image, style, and size that is unique to your situation. You can choose from the examples in the gallery below or come up with your own ideas. We can do Names, Addresses, Brands, Logos, and much more. Our personalized ranch signs start at $60 per square foot, but will individually bid based on your particular situation. So contact us today to get started on your Custom Ranch Sign. Please see our Finishes and Powder Coating page for information about color choices. 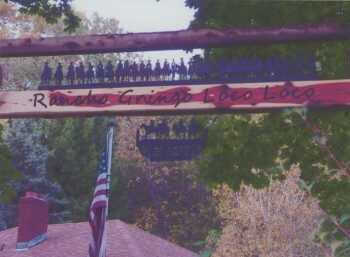 To view a larger image of any ranch sign, click on the thumbnail images below. You can then cycle through all larger images by either clicking to the right or the left of the enlarged image, or by using your right or left cursor arrow keys. Looks great. Please thank Julia for the order and her pleasant service. Thanks. To everyone who worked on the Sewell Posse sign: We just received the boxes this morning, and we eagerly opened them up. WOW! What a fantastic job you all have done! Everything turned out just the way Julia drew it, and even better! Thank you so very much for a well built, well designed, perfectly painted piece of art; we are proud to present this to our client. We just finished putting up the smaller sign yesterday. We’ve had compliments and inquiries. Thanks for the great artwork. We love it! Dear Friends! Thank you for your product! Innovation, Originality, Quality, and Supreme Service for more than 30 years.